Occasionally I come across deployments where some interesting things have happened. This is an oldie but certainly something I come across from time to time. 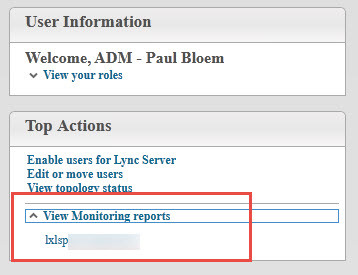 When expanding the “View Monitoring reports” link from within the Lync\SkypefB Control Panel, more than one Monitoring Reports Service is found. 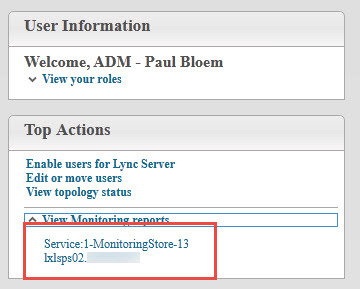 Looking at the configuration in Lync\SkypefB Server Management Shell, you will notice 2 identities. 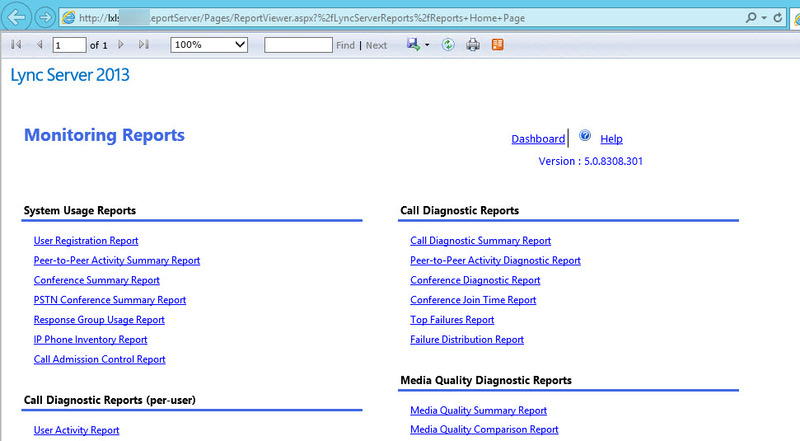 One of these is valid and another, well..perhaps a botched attempt at deploying monitoring reports. Basically we need to identify which of these entries is valid and which needs to be removed. Once we know that, we can safely remove the stale entry. To find out which entry is in use simply click on the link and see where it takes you. My first link goes nowhere. 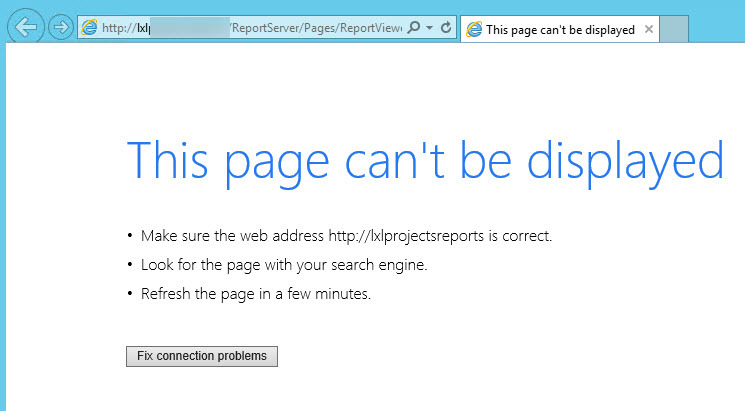 course we need to refresh the Silverlight pane. Since the Reporting Services are loaded into the Control Panel on start up, its best to close the window and open it again. Only one entry is now visible in the Control Panel.